It might take more than eyewash to get them out. 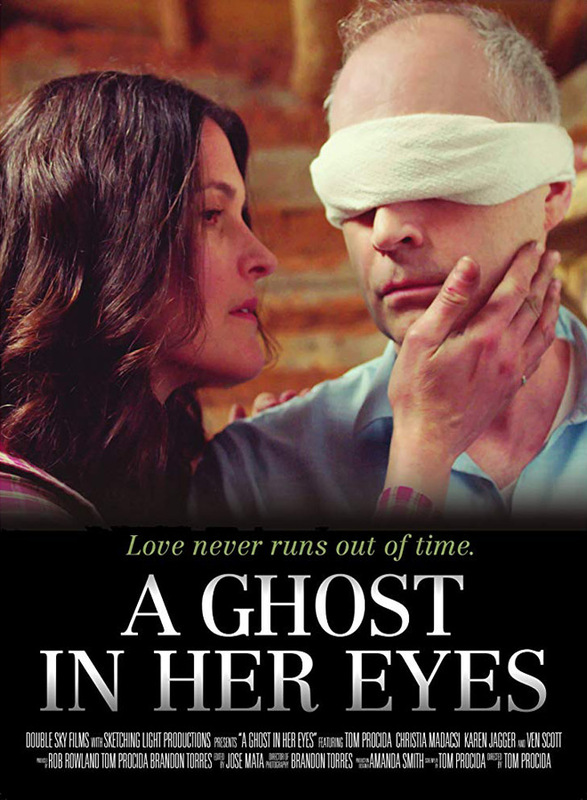 A Ghost in Her Eyes made its debut at the Mystic Film Festival on October 21st, 2018, before appearing at the Reel East Texas Film Festival a month later, and is currently set for a screening at The American Asian Latino Film Festival in NYC come May. The passion project of Writer, Director, and Producer Tom Procida (Prison Break series, Friday Night Lights series), it is a humble short at just under 20 minutes. A Ghost in Her Eyes still. Not that shorts cannot be grand. If anything, they have the potential to become cult classics in and of themselves. Mike Judge’s animated short Office Space caught on well enough to eventually get a live-action feature length edition in 1999. While, in the other direction, the 1984 short Frankenweenie gave people a taste of Tim Burton (Beetlejuice 1988, Mars Attacks! 1996) before getting an animated expansion in 2012. Is A Ghost in Her Eyes the next best thing? Or does it come up short? The film tells the story of a man called Alex (Procida), a man mourning the loss of his wife. He receives a painting of an old cabin from his mother through the post as a gift. However, it ends up being more than just oils on canvas. Alex finds himself sucked into the painting’s world and ends up in the care of a blind woman named Lucy (Christia Madacsi: Team Everest 2007, A Nesting Place 2017). As he tries to figure out how and why he ended up there, he forms a bond with Lucy, and learns more about her. Is it real? Is it all in his head? On the premise alone, the film is like a more romantic take on the 2006 BBC TV series Life on Mars. Both protagonists end up warped back to the past and search for a way back. Except Mars’ resolution was more earthy and brutal, and only went as far back as the 1970s. A Ghost in Her Eyes’ time period is more 1870’s, but with softer edges. Not so much Deadwood as Little House on the Prairie. Not that it is sugary sweet. 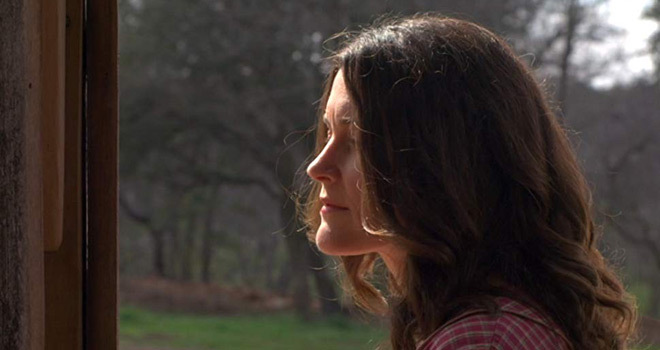 The film uses its bitter edge – notably the loss of loved ones – to make the following scenes sweeter as Alex and Lucy bond. It is not a smooth process, as they have their spats, yet it comes off as a natural progression of events. They are older people coming to terms with their losses and gaining something in the process. The acting is pretty good too for the most part. Procida and Madacsi are convincing in their roles and manage to put on a touching performance. 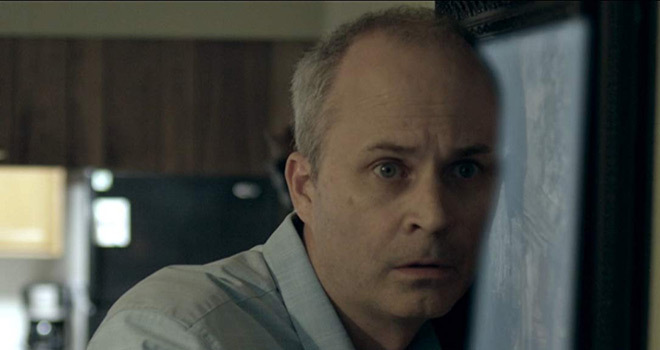 Ven Scott (Redboy 13 1997, Date from Hell 2018) and Karen Jagger (Upstream Color 2013, 50 Kisses 2014) also do well as the good Samaritans who find Alex, though they only have so much time on screen. Additionally, A Ghost in Her Eyes avoids bogging itself down in exposition by expressing its goals through visuals and inference. Yet, it does feel like it runs through its arc rather quickly. It is a short film, and it does not waste a single minute on padding and runtime. Its shorter sequences show off some nice uses of sound design, music, and establishing shots (notably in its finale). However, it would benefit if it got the Office Space/Frankenweenie treatment and got a feature-length adaptation somewhere down the line. As it is, it feels like it is getting ready for the end right as the viewers begin getting invested in the characters. Even though it does reach a conclusion, it may still leave the audience wanting more. Ultimately, as soft and sweet as A Ghost in Her Eyes may be, it does avoid Hallmark territory. The film’s story plucks the heartstrings without shredding them, with acting that moves the audience instead of moving their stomachs, so to speak. It passes by a little too quickly, but the film manages to entertain for its duration. Thus, Cryptic Rock has enough reasons to give this film 4 out of 5 stars.